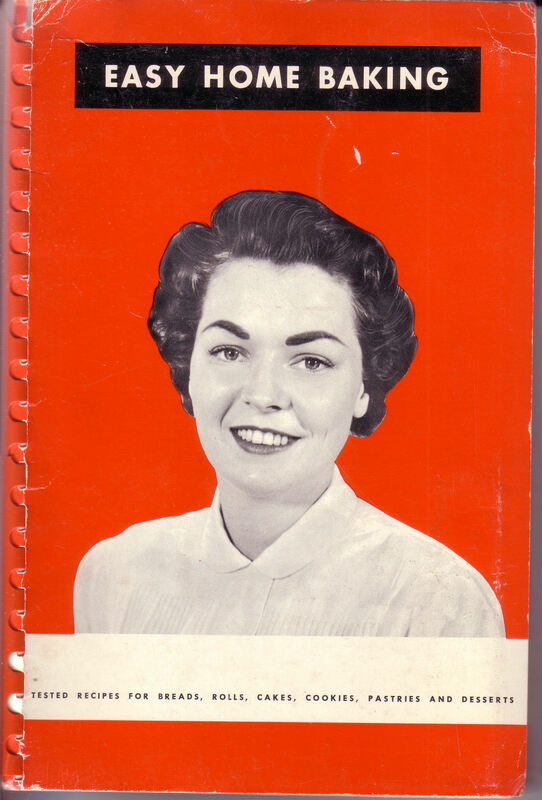 One of my “vintage cooking pamphlets” is really a small book (110 pages long) called “Easy Home Baking: Tested Recipes for Breads, Rolls, Cakes, Cookies, Pastries and Desserts,” published by Sands, Taylor & Wood Co. – the former name of King Arthur Flour Company – in about 1937. I’m estimating the date from a short foreword by one Doris Sands, which references “CONSUMERS’ GUIDE, April 5, 1937, ‘Bread Facts for Consumers. '” Another owner of this book speculated that the photograph on the cover looks more 1950s-ish, but I think it could easily be 1930s too. I looked up the patent number for the the plastic binding and it was issued in 1934. The fact that the early pages include translations of descriptive oven temperatures to degrees Fahrenheit, and instructions for testing oven temperature, incline me toward the 1930s date as well. Got it? Now, the company’s recent Baker’s Companion advocates treating the dough gently so as not to get all the air out of it (which is more or less what I’ve always done). 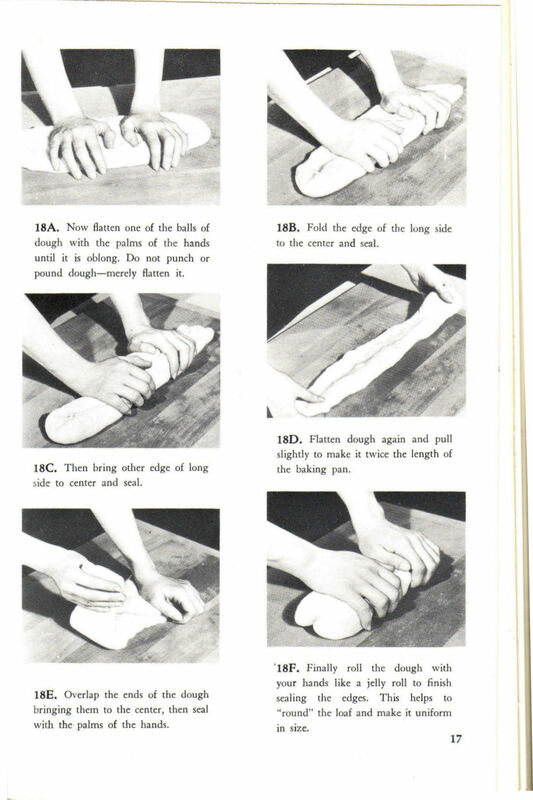 The Wooden Spoon Bread Book suggests pressing the dough out flat and then rolling it up (fewer steps). The Boston Cooking School Cookbook (1959 edition) advocates slapping the dough against the counter to get all the air out, which Baker’s Companion specifically warns against. Reader, using this method produces the best bread I’ve ever made. Seriously. Apparently the key to getting a soft, dense texture in bread is to gently press the air out of it after the first rising, so that it has to re-inflate on the second rising. It’s not new, it’s old. And I wish I’d known about it for all this time I’ve been making bread that never quite had the best possible crumb. But, now I can. Hurrah for vintage cookery! Pingback: Small Basic Cake (ca. 1937) | History Live!